Most advanced heating system allows two zone cooking for maximum control. Cook on high on the back and hold at NSF safe temperatures in the front. TRU-Turn Roller system has durable, easy to clean surface that provides superior roll-ability of hot dogs, sausages, egg rolls, and more. Rollers are synchronized to roll simultaneously with each other, avoiding slippage. Available with or without optional self serve sneeze guard. 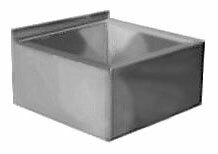 Size 8" X 34" X 18"
Two zone heat system quickly reaches grilling temperatures and has fast recovery for surges in demand. Easy to operate and maintain...plus it is the easiest roller grill to clean. Available with or without optional self serve sneeze guard.